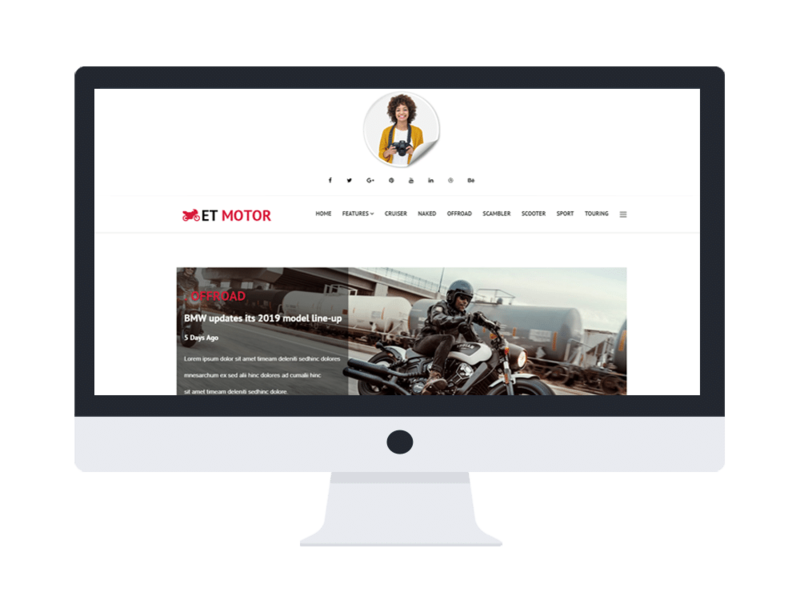 ET Motor is an impressive Joomla Magazine template that is intended to motorbike news and online magazines website, it is also perfect for any other topic of magazine. Supporting with Google Font, all the hottest news and articles on your magazine site will be easy to read. ET Motor has been built with the latest Bootstrap CSS Framework, Support Font Awesome and K2 extended style, therefore, there is nothing impossible for you to have an amazing news site without paying much effort and time. The content organization is eye-catching and attractive, you can manage it from user-friendly interface of Admin Panel feature. Besides, this theme is fully responsive on every modern mobile devices and PC, all of your site content will be displayed perfectly even on the latest model. Moreover, 4 color styles are included to help you make your site be more charming. Let’s take a look at the Live Demo!